Tomy has released Piplup plush with effective sound on 26 April. The plush has 3D sensor, 29 effective sounds (e.g. laughter, humming, bubble beam, swirling etc) come out depend on taking posing. Size is approx. 12.5" height, battery: AAA x 3pcs required. 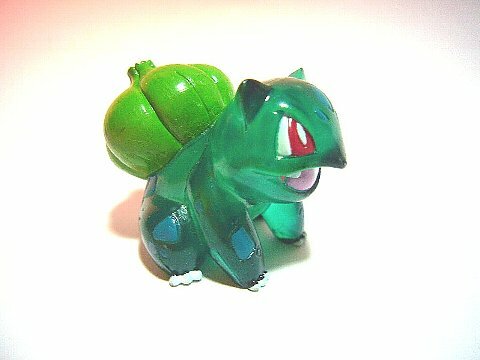 Thank you for visiting to All About Pokemon Figure (AAPF) always. The following 2 parts in blog have been updated. Has been linked with Pokemon Plush Project (PPP). The site contains the photos of Pokemon plushies released in the market, it's a great and helpful database site. 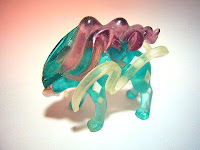 Photos are contributing from members in PokemonCollectorsLiveJournal. Thank you to PPP and PkmncollectorsLJ ! Please refer to the right side Links menu or referenceable from 'link' in plush row of each FigureReleaseSummary table. It can be left the comment to the AAPF's post with Open-ID (account of Google/Blogger, AIM, TypePad, LiveJournal and Wordpress). Just short notice. 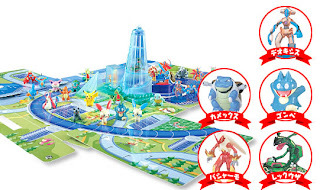 Bandai will release Pokemon Kids DP8 (14 figures) and Movie set (2kinds) in the middle of July. No info on detailed contents at present, will post and photo later. As for reference, current figure release status is shown in Release summary, and shown in last year Movie set. Ensky will release Pokemon Puzzle Gum 5 (Candy toys) in the end of June. Previous post Pokemon game info is updating. 'Mystery Dungeon Explorers of Time and Explorers of Darkness' will be released on 4 July in Europe. Banpresto will release 4 plushies in August. Size is approx. 5.5-6" height, game prizes. 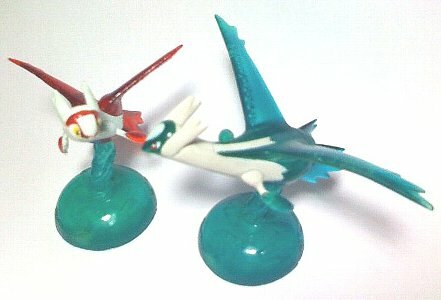 These one are regular type same as this, yesterday one is DX type (size is bigger). 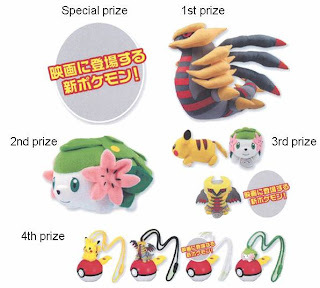 As for plush in previous posts Shaymin (Unofficial Info) and Ichiban-Kuji, Banpresto will release them with UFO catcher game as well. Size is approx. 5.5-6" height shown below, game prizes, DX type. Photos for the following post (TomyMC release July and August figures) are uploaded. These photos are tentative, will replace to official one and delete this post later. Seven-Eleven Japan Co., Ltd. will sell the 'Pokemon lunch' in July. Includes lunch box, handkerchief, chopsticks and Shaymin clear Tomy MC, booking order and limited item. Non clear Shaymin Tomy MC will be released on 30 May. As for other clear Tomy MC, please refer to TomyMC Clear Figure Info. Going to increase the posts in Youtube recently, it is Pokemon Caramelldansen . Caramelldansen is performed by Swedish singer group Carame originally. These posts are using unofficial rimix (speed changing 1.2 times, as well-known Speedycake rimix). Check it out, your favorite Pokemon is dancing, enjoy it ! As for AAPF posted DS lite cover before, Tomy has released DS lite cover of Shaymin and Giratina on 19 April. Official photo as follow. These are for DS lite only. It is the first Shaymin's merchandise. New Pokemon plushies of Regigigas and Giratina (Pokedoll) are released from Pokemon Center, Will be availabe on 19 April, size is approx. 5.5" 6" height. These plushies were prior introduced as prize. Here is the latest info of Eevee evolution TomyMC's figures. For Glaceon fans, please see this post in youtube ! 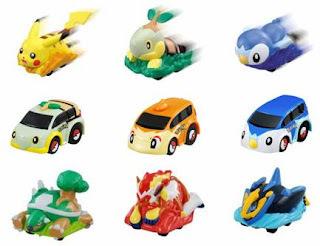 Here is a list upcoming 'Pokemon B' merchandise from Tomy . 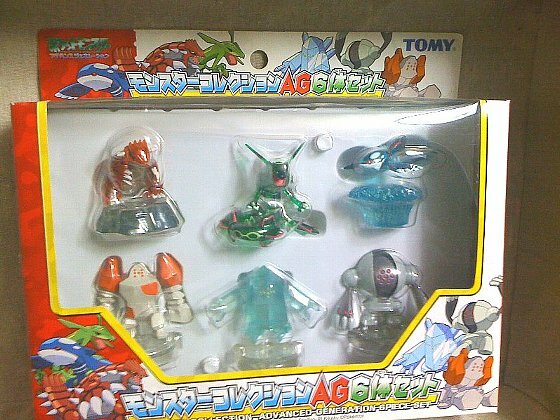 Tomy called 'Pokemon A' Shaymin before. Pokemon B name is not announced from Tomy yet. Will post each item later. Pokemon B Talking Small Plush : Release on 20 Sep, Size ?? at present, Piplup and Pachirisu will come on 24 June. As for capsule toys from Yujin and Bandai, they also call Pokemon A and B. This blog AAPF does not so cover the items except for figure and plush. 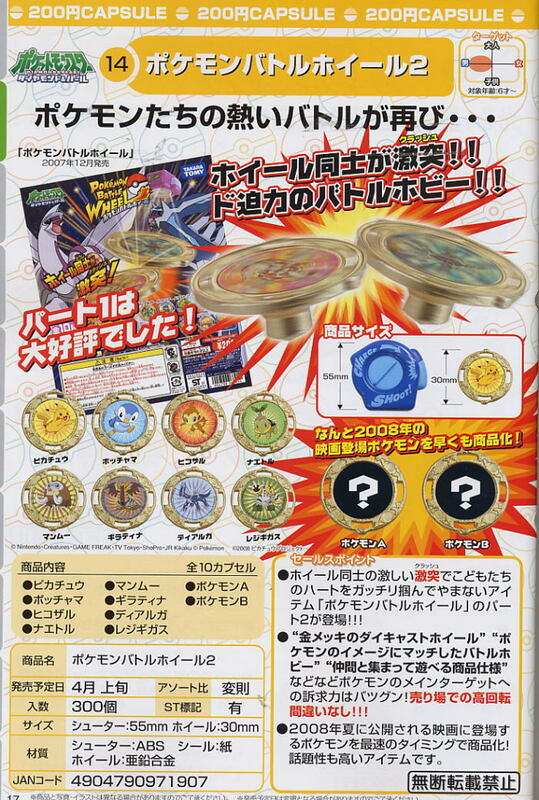 The first item come to market is Yujin Pokémon Battle Wheel 2. Will release on 22 April. 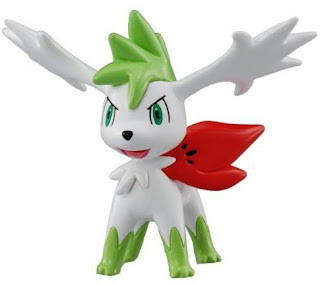 I've heard unofficially that Pokemon A will be Shaymin, still no info on B at present. Seems low possibility that Yujin would release new Pokemon item before Pokemo official site or Corocoro announce. We will know them around 23 April. Yujin Pokémon Battle Wheel 2 has been released. Pokemon A is Shaymin, B is Giratina origin form. Photos for the following post (PokeKids Encore 4 and TomyMC renewal figures) are uploaded. 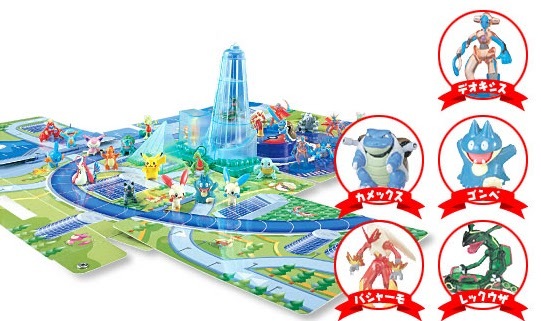 Yujin will release Pokemon Diorama World in the end of July. 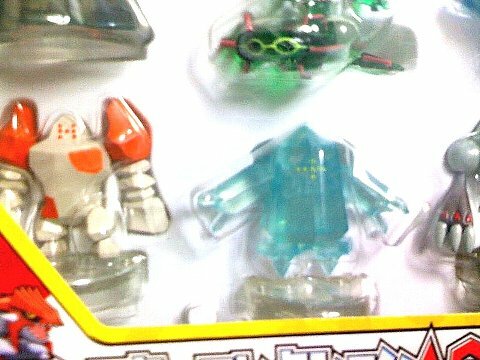 Capsule toys, 10 pcs, size is appx 1.1", attached Diorama part/plate can be connected, some parts have the gimmick. If Pokemon-A would be new Pokemon, it seems flying or grass type based on this contents, what do you think ? 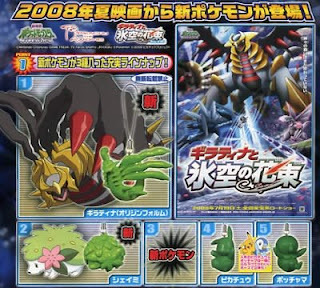 May's Corocoro magazine notifys new Pokemon game information on July's Corocoro, it will out in 2008. No information on 5th gereration Pokemon in May's magazine. Tomy will release new figures Monster Collection (MC) set on 19 July 31 July 9 August, includes the following 8pcs. Magnezone is prior release. Tomy will release Giratina plush each. Size is approx. 17" (height). 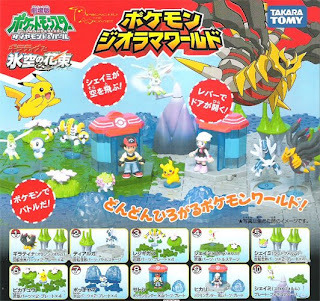 Tomy held the meeting and presentation of new pokemon merchandises in 3Q 2008 on 9-10 April. 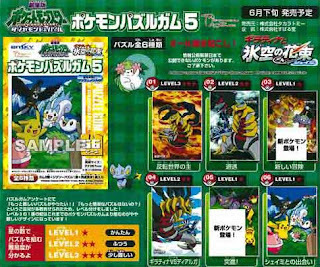 Ginatina, Shaymin, Regigigas and New Pokemon (not yet open to the public) are main. Please refer to the post and photos in news site. Will post the more detail each. Tomy will release new 3 Choro-Qs of Pokemon DP series on 19 July 31 July. Size is appox 2.7" (length). Previous items are also mentioned. [ Edit 17 April ] Titel changed and Pokemon B added. [ Edit 06 June ] Dialga and Giratina's photos are uploaded. [ Edit 19 June ] Shaymin photo is uploaded. [ Edit 19 July ] Corrected release date. If interesting, please check the following YesAsia's links. Tomy will release 3 new figures of Monster Collection series on 20 September. Tomy will release 2 new figures of Battle Scene series on 9 August 4 September. As for other Battle Scene figures, please refer to search result. [ Edit 9 August ] Correction release date. Tomy will release 3 new figures of Monster Collection series, a figure is released weekly, same as July. As for Magnezone, it will be prior released on 19 July. Tomy will release 3 new figures of Monster Collection series, a figure is released weekly, same as last year. (Because of new movie release month). The following photo is tentative, excluding New Pokemon, will replace to official one later. *1 Pokemon name is not announced from Tomy yet. 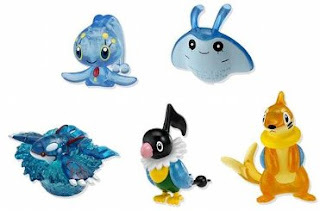 Banpresto will release 5 New Pokemon soft vinyl figures in May. Size is approx. 3.5" height, game prizes. 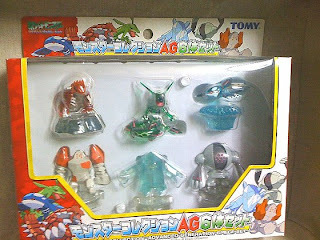 Tomy MC has seldom released the clear figures, it out in the movie release or special occasion. Here is the list of clear figures AAPF known one. If you have others, please let us know. 18 Apr 2008 : Added Mewtwo, Lugia. 22 Apr 2008 : Added Shaymin. 07 Mar 2011 : Added pics for Suicune, Plusle, Minun, Latias, Latios, Bulbasau, Regice, Kyogre, Groudon and Rayquaza. 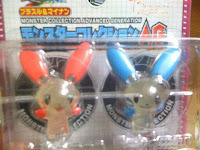 06 Oct 2011 : Added 2005 Monster Collection AG Panorama Pack for Blaziken, Thanks for the info to Mary. 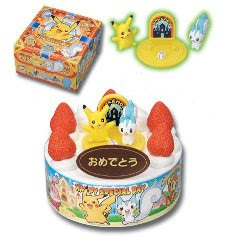 Pokemon cake is introduced by Bandai in March, with Pikachu and Pachirisu figures. Previous cake is linked to Cake and Osechi. Next is not relation to the Pokemon figures, but you must be like it. Pokemon fun site in Japan produces the lunch (bentou), available at Tokyo, Shinjyukum Shinagawa, Ueno, Oomiya JapanRailway stations and Haneda airport. We call this kind of lunch 'Kyaraben (meaning character lunch)'. Please also check the following site, it's one of art ! 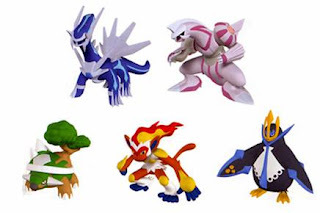 Kyoudo will release 8 figures, Pokemon metal figure collection DP5 in July. Size is 0.7", Gashapon (capsule toy). A figure has 5 color variation. (gold, dark gold, silver, gunmetal gray and copper) Will post DP5 photo later. 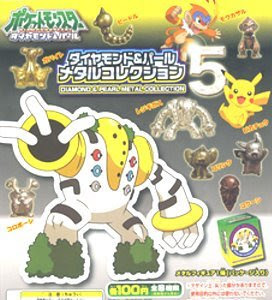 As for DP1 to Dp4, please refer to Pokemon Metal Figure Collection DP4. New 5th Generation Pokemon or Not ? Just check the past and presume. Jul 2004 : 7th movie Destiny Deoxys released, Munchlax appeared in the movie. Munchlax is one of 4th generation Pokemon, was introduced 2 years faster than DP game. Banpresto will release Ichiban-Kuji (meaning: No.1 Lottery) 2008 movie version in the end of July, 5 grade of prizes. Prize and Includes Probability (IP) of lottery are shown as follow. Note: New Pokemon will appear in 11th movie. No information at present. Will update the post later. Today's post is about paper craft. DIY ! 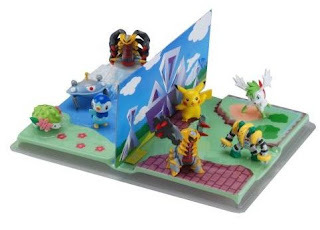 For sales promotion of new game "Everyone's Pokemon Ranch", Pokemon official site in Japan services Pikachu paper craft. Paper pattern can be downloaded from here. Bandai will release 10 figures, Pokemon Strap 2008 movie in the end of June. A figure has 2 variation, ordinary color and clear. Gashapon (capsule toy), figure size is 1.3". 2007 movie item are also mentioned as follow. [ Add : 13 June Final Photo Uploding] Please refer to latest airticle. The following 4 parts in blog have been updated. Items Release Summary : Posts are summarized on quarter year. Please refer to 2008 Release Summary. Post Re-Categorize : Post in "Other" category are on the increase, otherFiguresSeries and otherFigures are added. Please refer to the right side menu in blog.